The criticism is somewhat surprising given that O’Rourke last summer and fall was seen as a liberal hero as he ran against Sen. Ted Cruz (R) in Texas. O’Rourke became a national figure during that campaign, and when he narrowly lost to Cruz, it immediately sparked calls for him to enter the presidential race. But that fight was in Texas, and it gave the former punk rocker an opponent in Cruz who is widely detested on the left. In the presidential primary, O'Rourke is entering a crowded race that includes progressive heroes with their own deep wells of support, from Sen. Bernie Sanders (I-Vt.) to Sens. Elizabeth Warren (D-Mass.) and Kamala Harris (D-Calif.). There are other white male candidates in the race, but O’Rourke is the newer-to-the-scene figure in that lane along with two of the race’s heavyweights: Sanders, who lost the Democratic primary in 2016, and former Vice President Joe Biden, who is widely expected to enter the race in April. O’Rourke has sought to both explain his remarks and push back at the criticism. “My ham-handed attempt to try to highlight the fact that Amy has the lion’s share of the burden in our family — that she actually works but is the primary parent in our family, especially when I served in Congress, especially when I was on the campaign trail — should have also been a moment for me to acknowledge that that is far too often the case, not just in politics but just life in general,” O’Rourke explained on the Political Party Live podcast. “I will be much more thoughtful in the ways that I talk about my marriage,” he added. Behind the scenes, Democrats have also grumbled about O’Rourke’s progressive values, saying it remains to be seen if the former congressman is as progressive as he'd like to portray himself. They highlight O’Rourke’s family wealth and the financial contribution his previous campaigns received from the oil and gas industry. 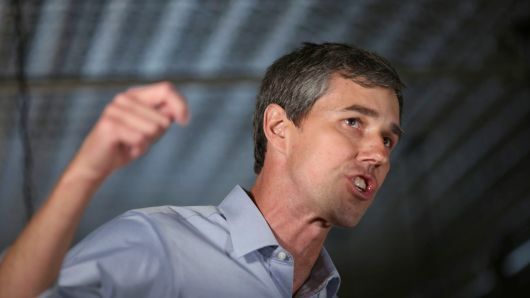 While he’s signaled support for the Green New Deal, for example, Democrats say that O’Rourke needs to fill in the blanks on where he stands on other issues. “We haven’t heard a lot of substance yet,” the Democratic strategist added. Democratic strategist Eddie Vale said it’s still an “open question” on whether O’Rourke hurt himself with progressives this week. “I think that there is no way he got these crowds, donations, if there weren't a lot of progressives who were supporting him,” Vale said. “There were definitely some questions raised with how he answered things on issues [and] his family situation." “As long as he keeps raising money, he’ll have the resources to persuade voters on his positions and convince them of his viability,” Smikle said. But fundraising aside and grass-roots efforts aside, O’Rourke is going to have to “fill in the meat on the bones to show he has what it takes to be a candidate in an incredibly diverse and successful field," Vale said. “It's critical that he starts filling out his policy views both so that people know what he believes and can keep up with the big and innovative ideas other candidates are already rolling out,” he said.